Advertisement*. 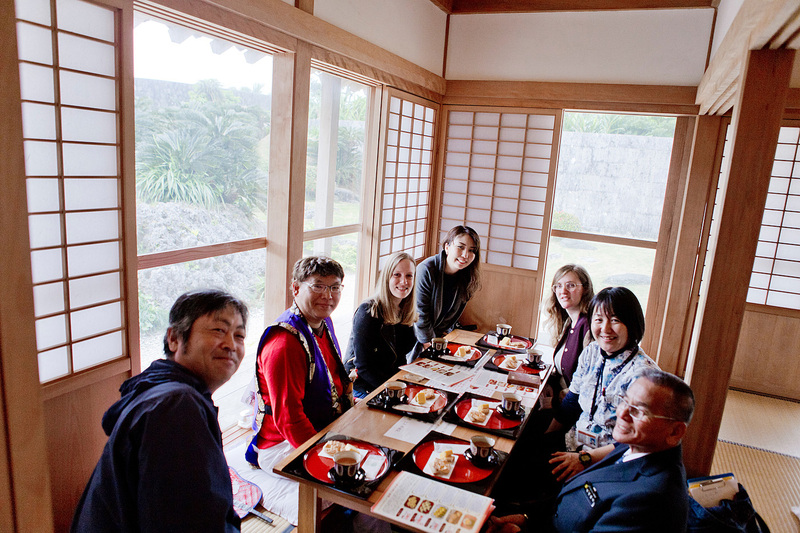 Upon invitation of Okinawa prefecture. Thank you! 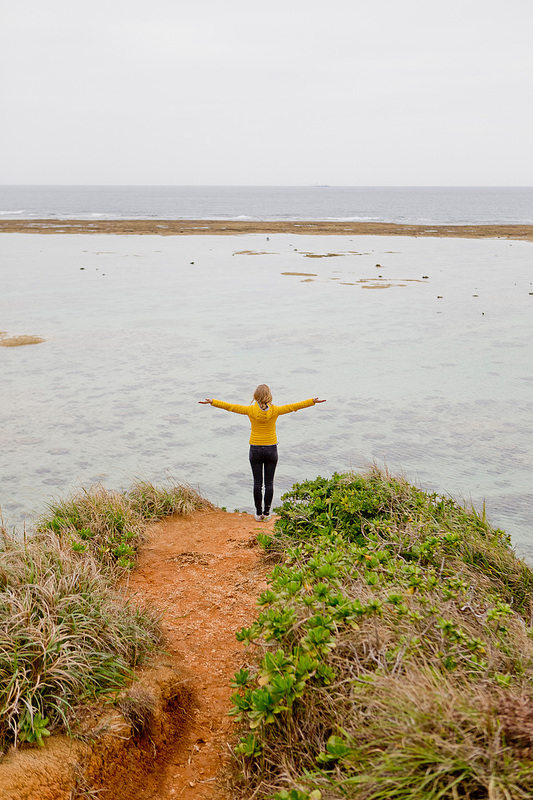 The Okinawa Guide. Can someone, please pinch me? This was my reaction when I opened my mails and got an invitation for a press trip to Okinawa, the southernmost island of Japan. I’d actually planned to finally fly to Japan this year but my visit came earlier than expected. Okinawa? I’m sure most of you have never heard about that island. Don’t worry, because that is what I’m here for. 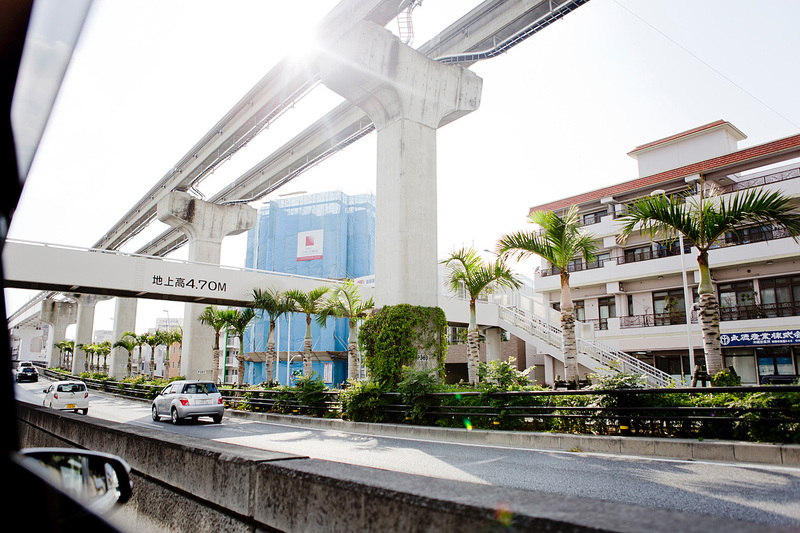 To show you all the interesting and beautiful spots Okinawa has to offer. A blogger colleague from Munich had visited the island a while ago and I remembered her posts (see them here). Of course, I had to look them up immediately. There they were – beautiful pictures of stunning bays with the bluest and clearest water along with impressions of fish markets and more. I was already head over heels. So there I was three weeks later I got the invitation holding my flight ticket in my hands and was about to board a 9 hours direct flight to Tokyo. Tokyo was only a pit stop for the night as I hopped on an early 3 hours flight down to Okinawa the next day. My travel companion for the 5 days was Samantha, who has been living in Tokyo for many years now and luckily spoke Japanese fluently. As soon as we’ve arrived at the airport we were welcomed by the team who accompanied us on our trip. The sightseeing program was about to start. 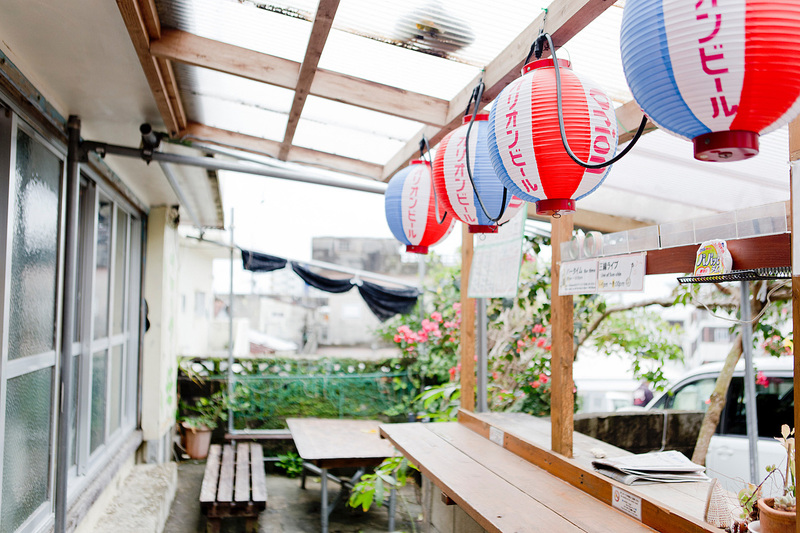 Here are ten great activities you shouldn’t miss on your Okinawa trip! 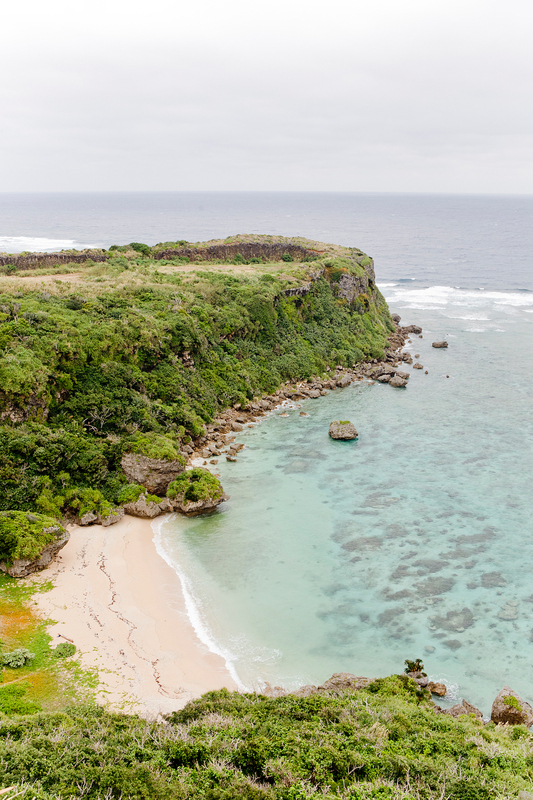 Please note that our team focused on the middle part of Okinawa’s main island. You should combine your stay with a couple of days on the main island and then hop on a boat to the surrounding islands. 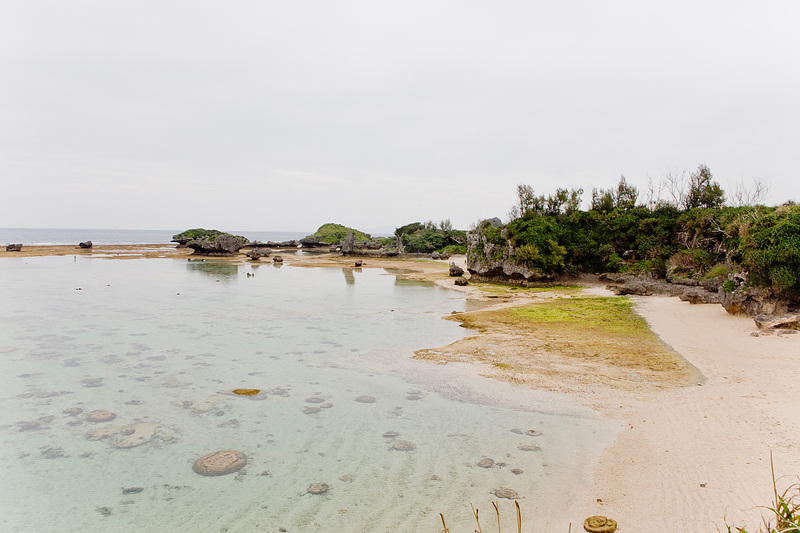 Okinawa offers the most beautiful beaches. 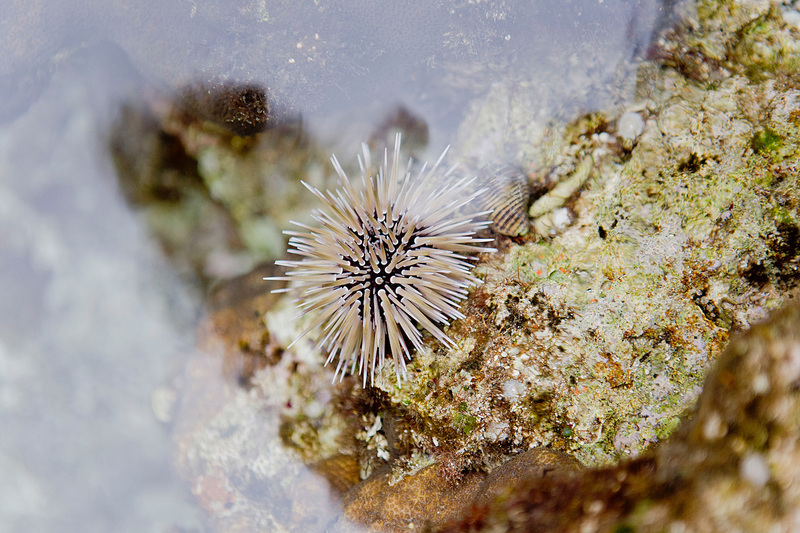 We visited quite off the season and even caught some low tides. The view was still breath taking, though. I recommend driving to the Happy Cliffs or Emerald Beach take a walk at the Maeda Beach & Beach51 and enjoy the sunset at the Sunset Beach. Also, Hotel Nikko Alivila, where we stayed for two nights, has a beautiful beach adjacent to the hotel area. Little did I know about Japanese culture and tradition. 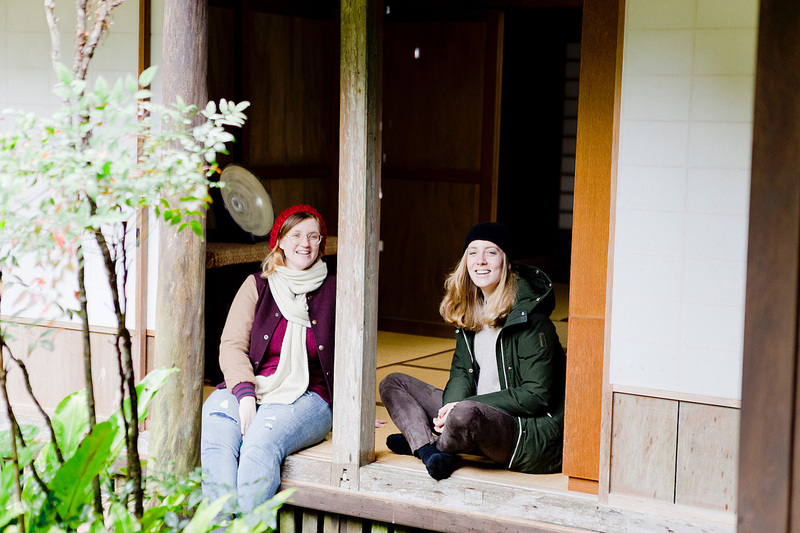 Therefore, a first visit of a Shinto-Shrine was a must. 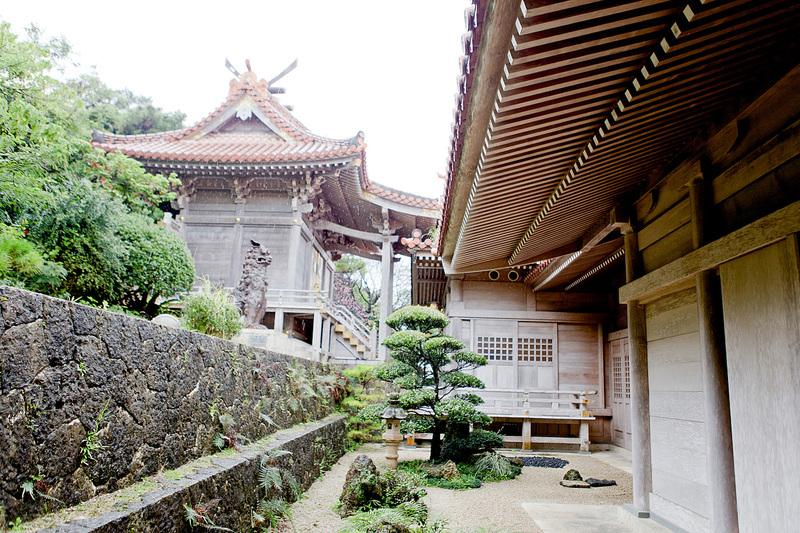 The shrine and its cave were built around 500 years ago. 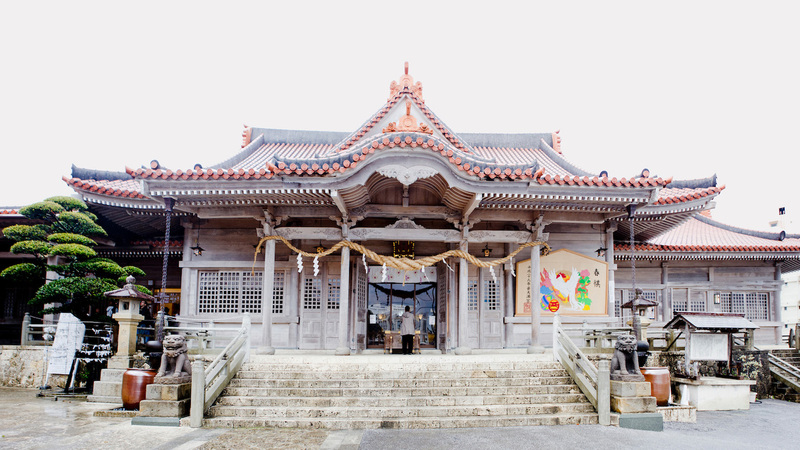 One of the main characteristics of a shrine is the Torii, which is a gateway made up of two vertical and two horizontal posts. From there you’ll enter the zone of the shrine and you will need to cleanse your sins at the water display. 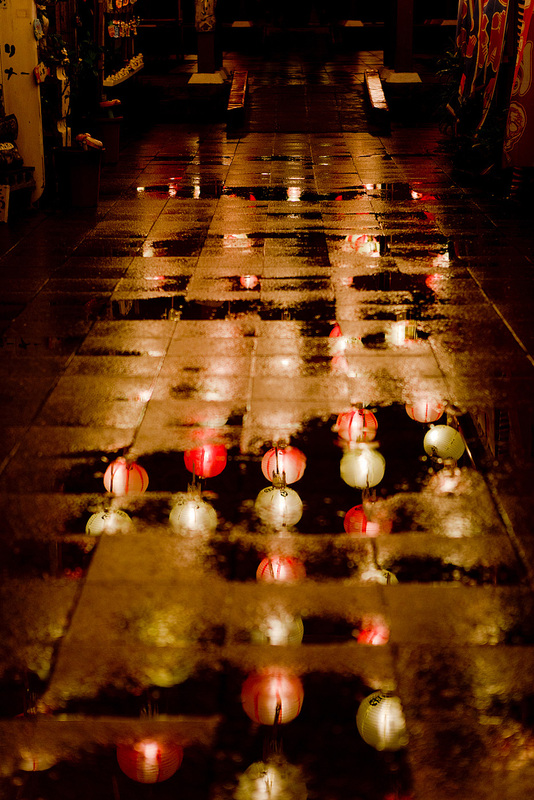 This purification ritual is called chozuya or temizuya. After that you are ready to pray. 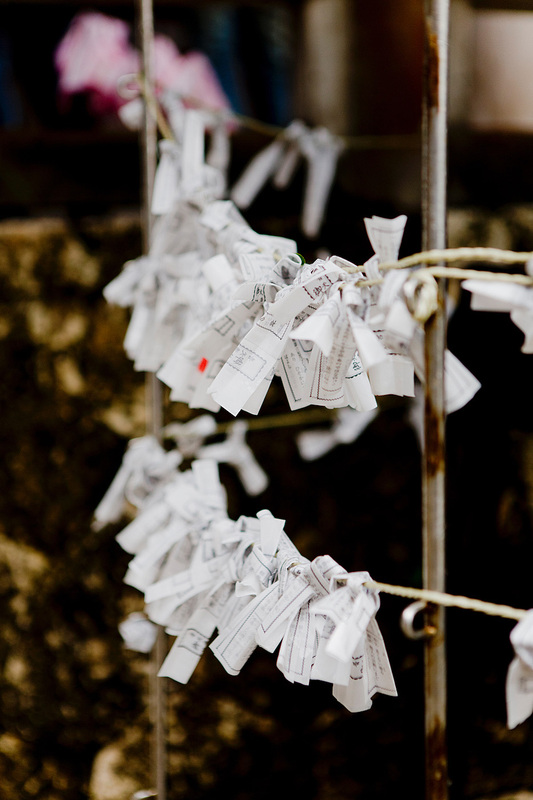 Also, you can buy your luck at the Shintō shrine. In case you got bad luck you can hang it on one of the ropes and the priest will come and get it and pray for you. I was lucky and got one of the highest luck. Good times ahead for me. 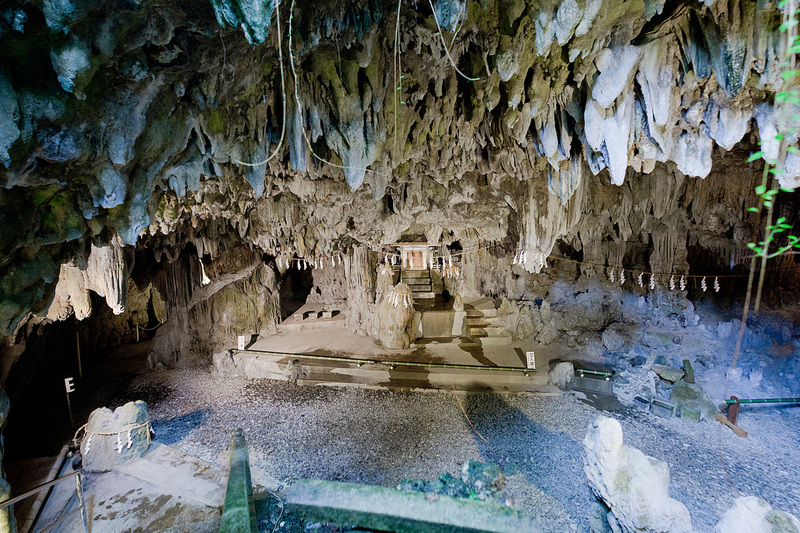 The cave is located very beautifully behind the Futenma shrine. Also, usually you don’t get to see the house of the god/goddess behind the shrine, which is quite special here. There is no entrance fee. 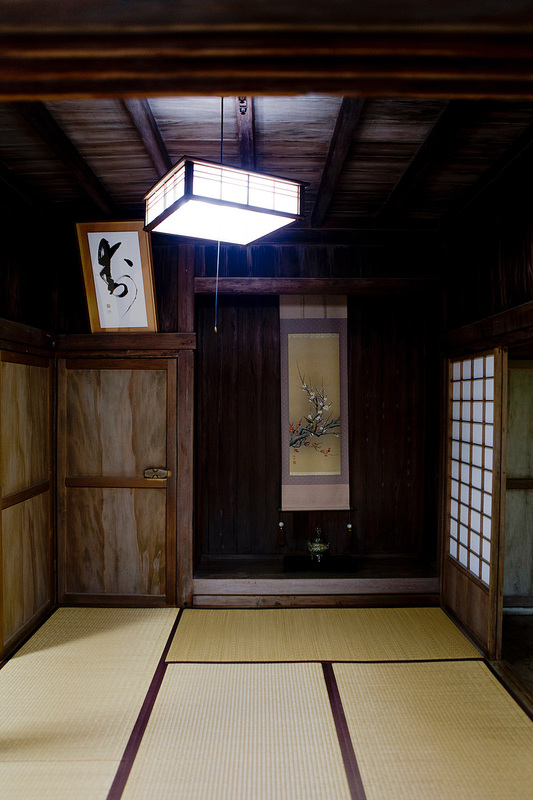 This may not be for everyone but you should definitely experience to sleep in a traditional Japanese hotel. 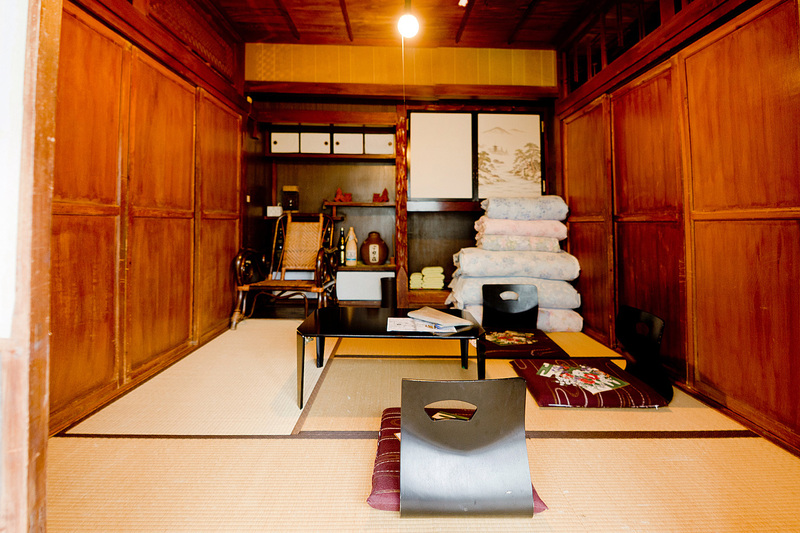 You’ll sleep on a futon mattress on the traditional tatami, which is a type of mat made from rice straws used as a flooring material. Nowadays they use compressed wood chip boards or polystyrene foam. 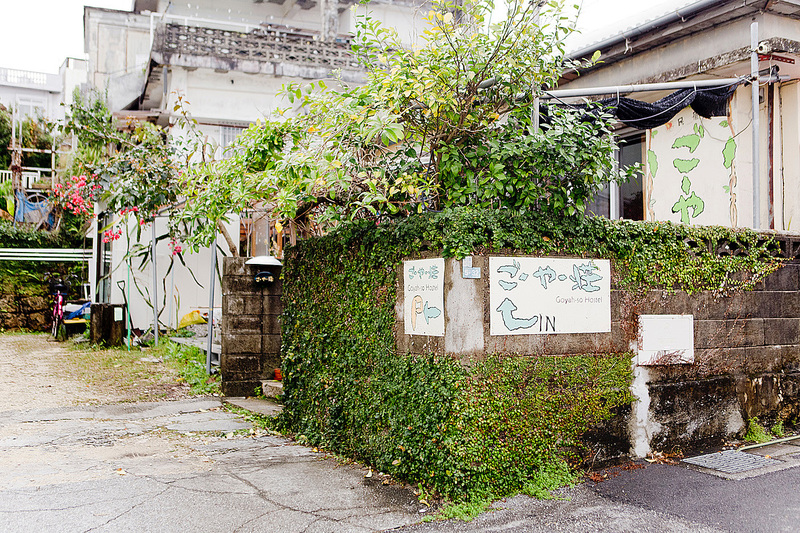 There are not a lot of old Japanese hotels left. 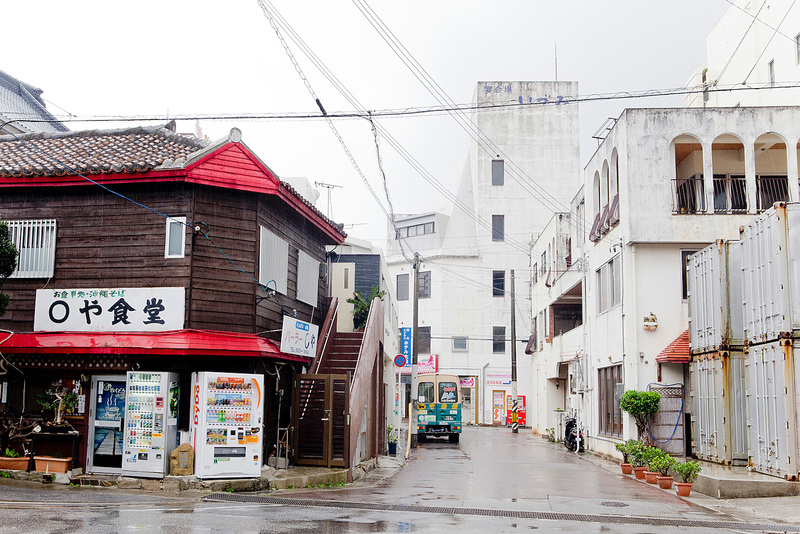 This is the one we visited in Okinawa City: Goyah-So Guesthouse. If you’re searching for more you can look it up on Tripadvisor here. 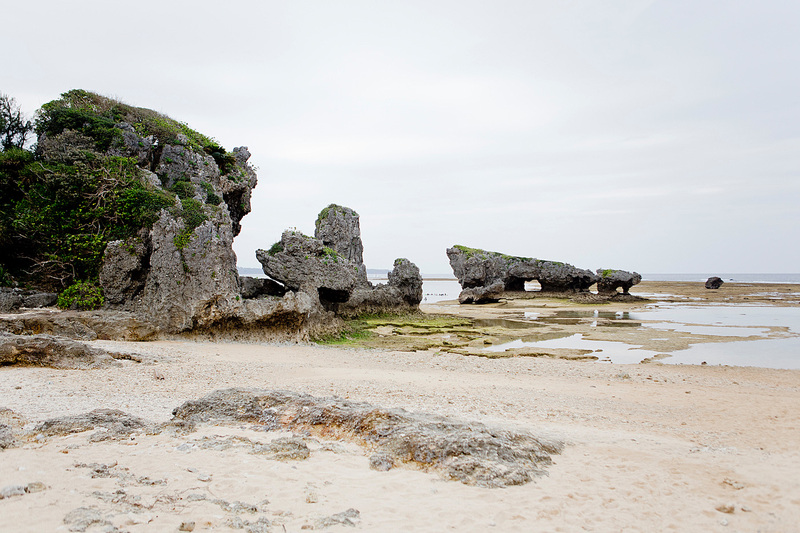 Okinawa is full of history, which is evident for Okinawan inhabitants. 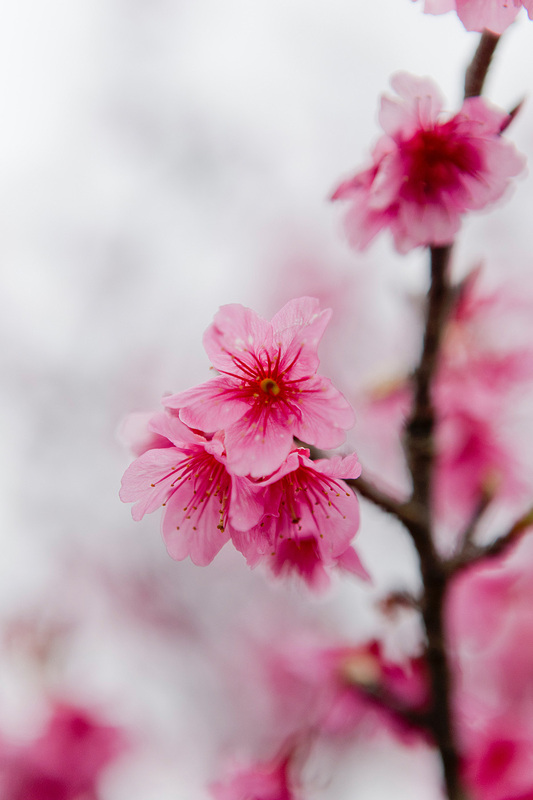 I knew a thing or two about the history of Okinawa and of Japan in general but little did I know about their traditions. 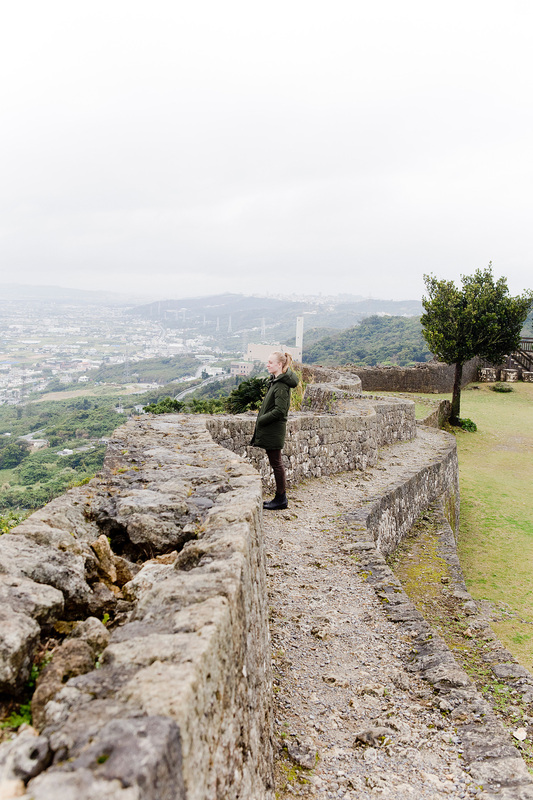 If you are interested in dipping into some antique sights the Shuri Castle and the Nakagusuku Castle Ruins are a must. 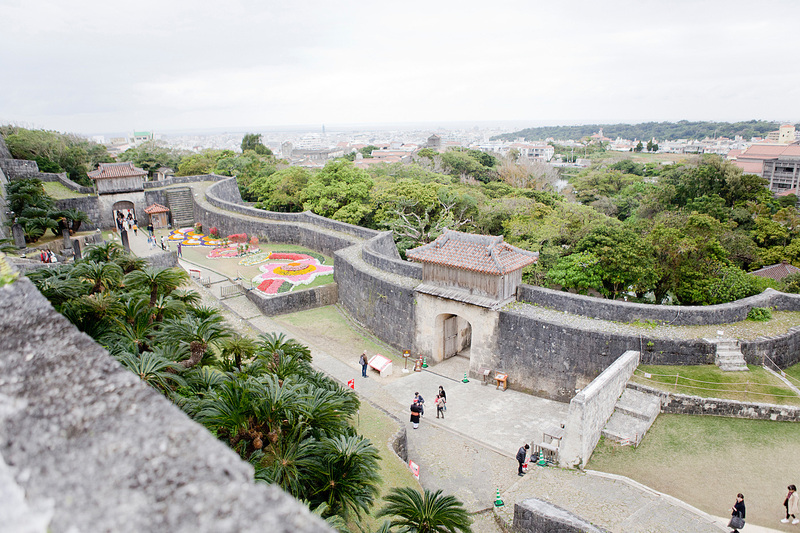 The original building of the Shuri Castle dates back to the 14th Century but it was destroyed in the Okinawa Battle in 1945. Years later, in 1992 reconstruction work began. 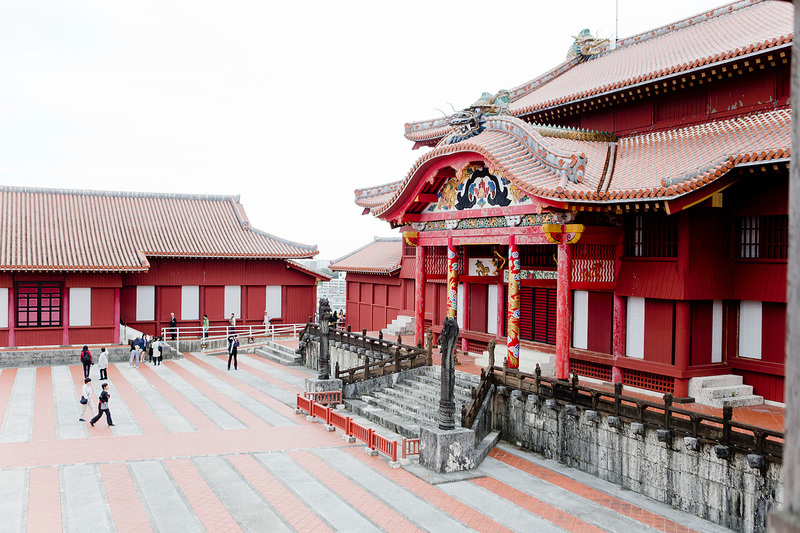 The Shuri Castle is probably the best sight to see the influence of China. When I entered the main square called Kyo-no-uchi it reminded me of my visit to the Forbidden City. 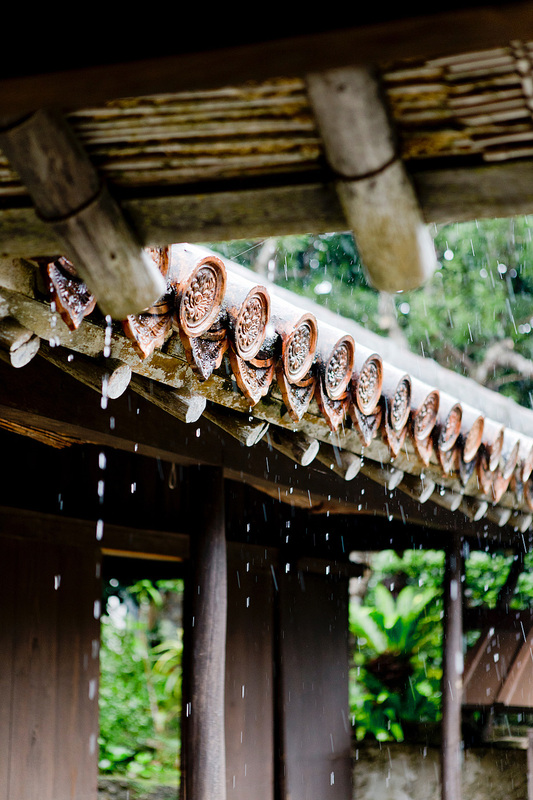 For instance, the roof of the main palace has Chinese architectural elements. 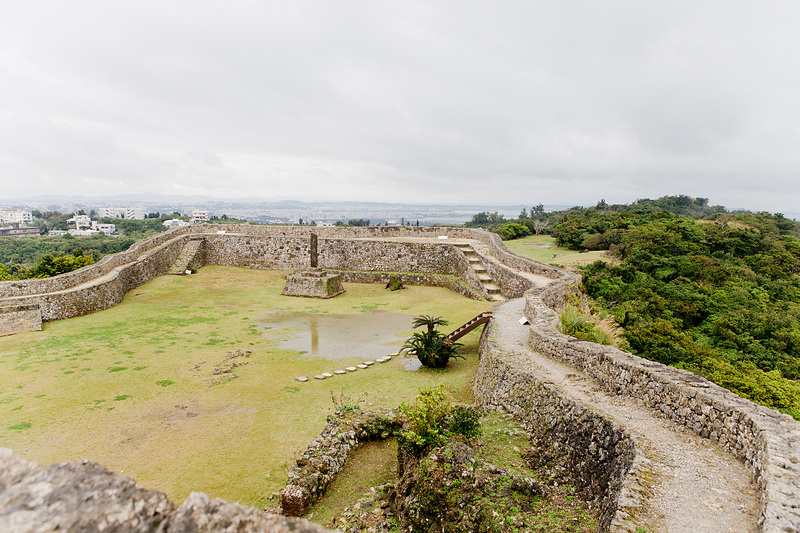 Moreover, the Ruins of the Nakagusuku Castle are highly recommendable. The castle was added to the list of UNESCO World Heritage Sites in 2000. These days they are doing a lot of renovation work. 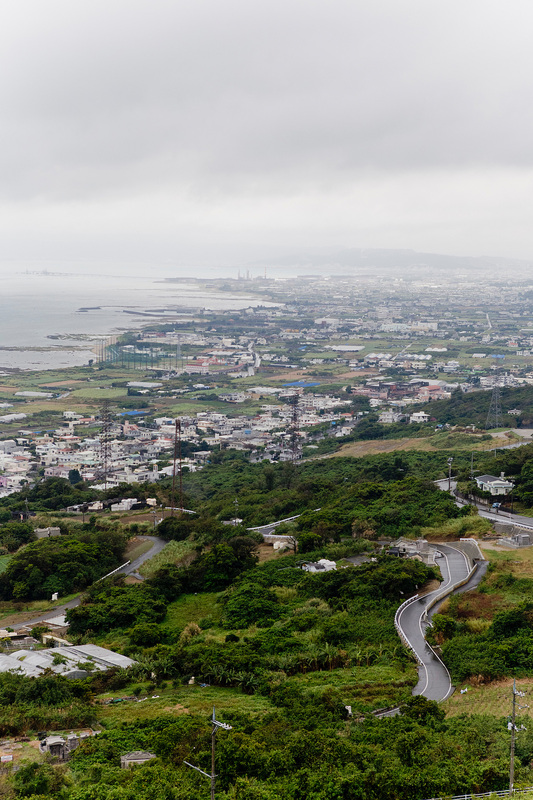 Also, you have an amazing view on the surrounding area and the Nakagusuku Bay. 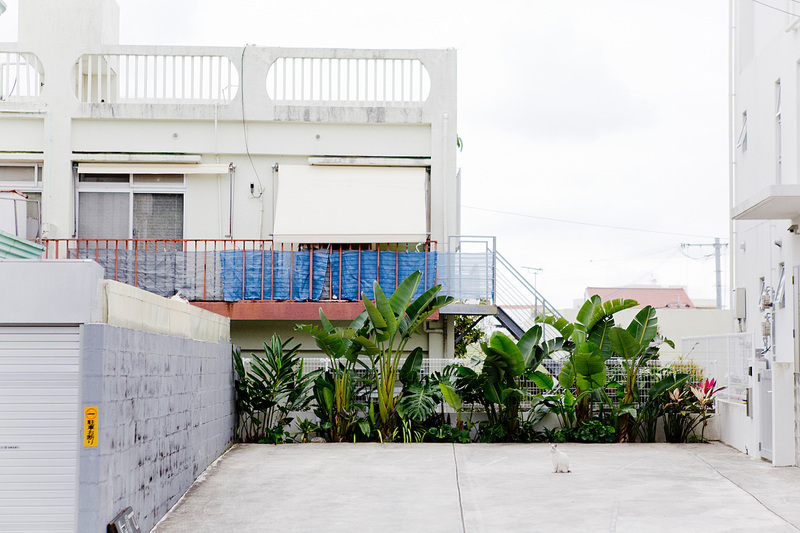 I could spend hours and hours at a local market. 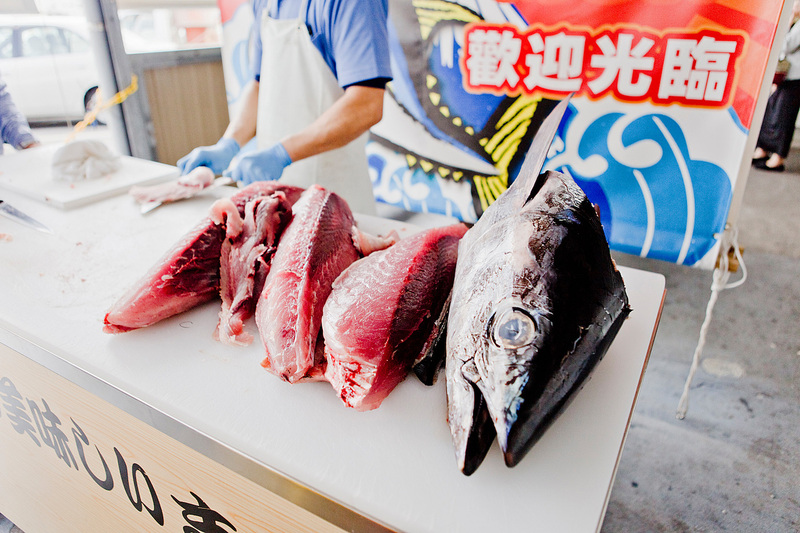 The Awase fish market was definitely one of my highlights. 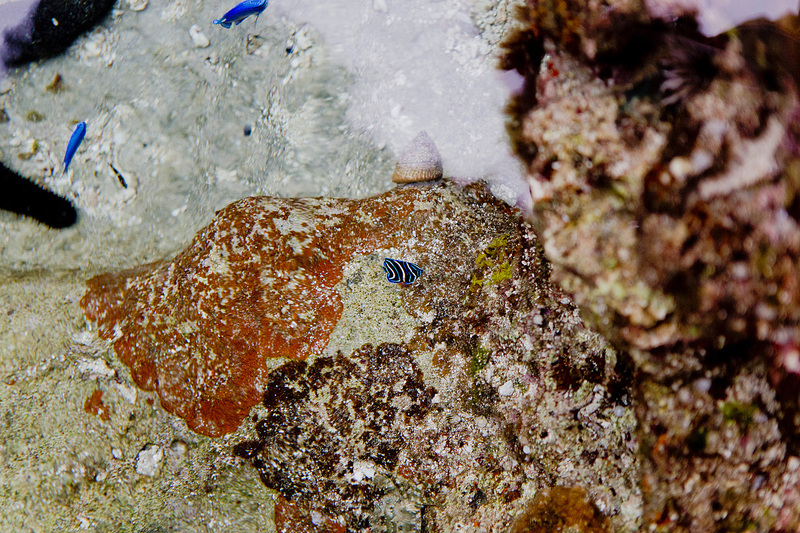 You’ll see kinds of fish you’ve never seen in your life before. 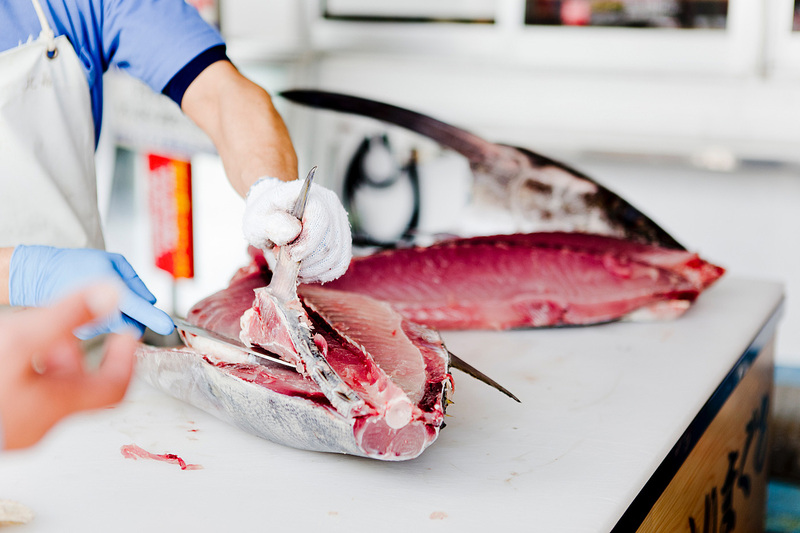 Not to mention how cheap a platter of sashimi is. I tried the ½ lobster set, which was so delicious. 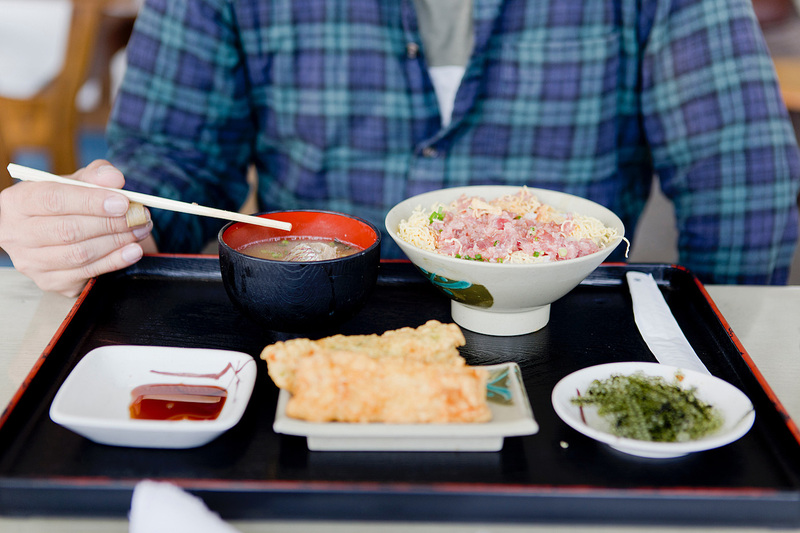 The rice bowls with sashimi on top are also to die for. I could eat them every single day! 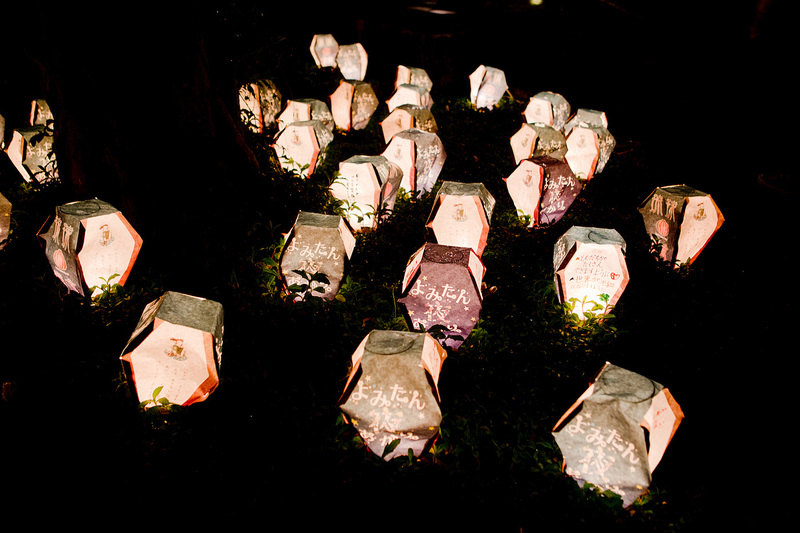 The Ryukyu Lantern Festival at Murasaki Mura was opening its door to the public for the second time. 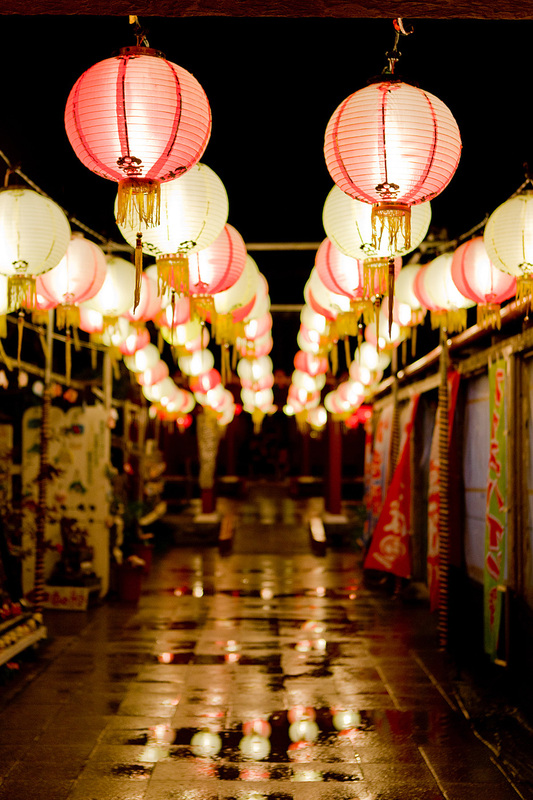 It’s a romantic theme park filled with over 5000 Chinese lanterns. 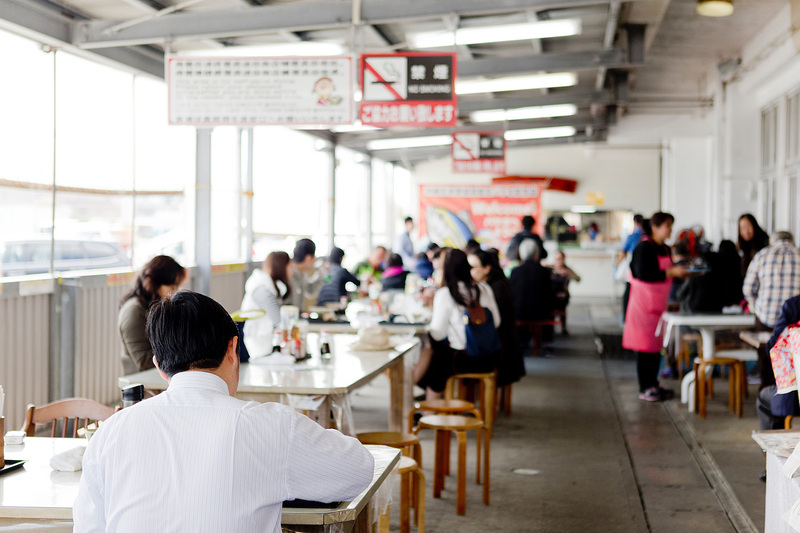 Moreover, a variety of food stalls and typical Japanese restaurants are offered. 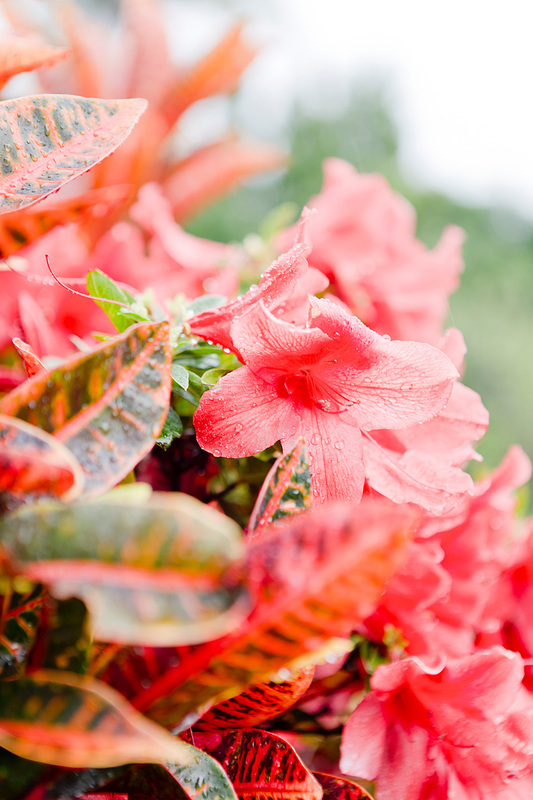 Visit Okinawa 7. 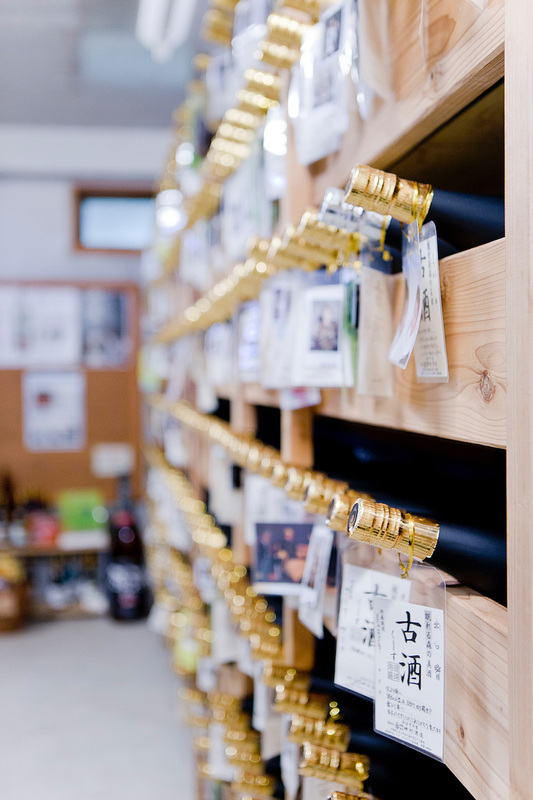 Learn more about the art of Sake distillery … no, it’s not drunk hot! 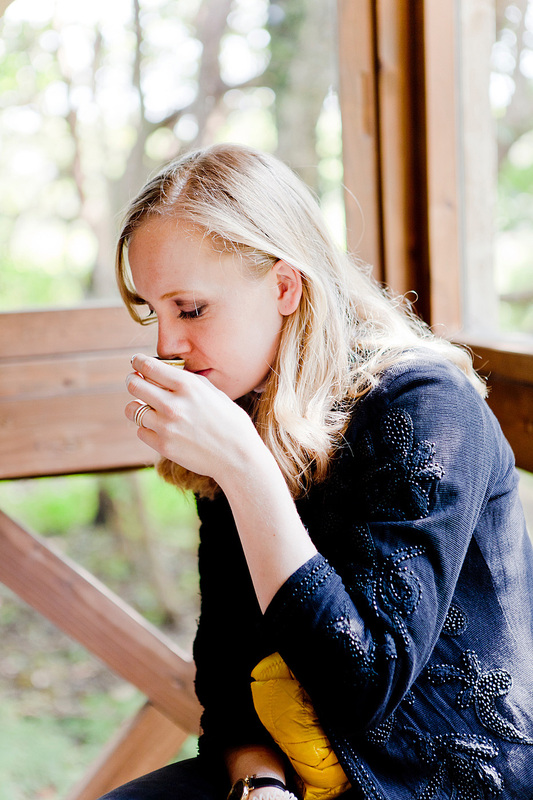 I thought I was a fan of Sake until I’ve tried the real one. 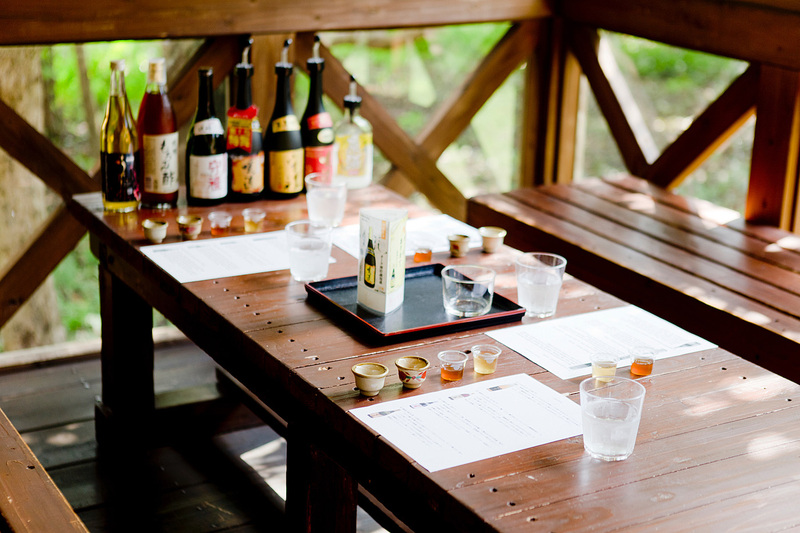 In fact, I was grateful to get the chance to take part in a real Sake tasting. 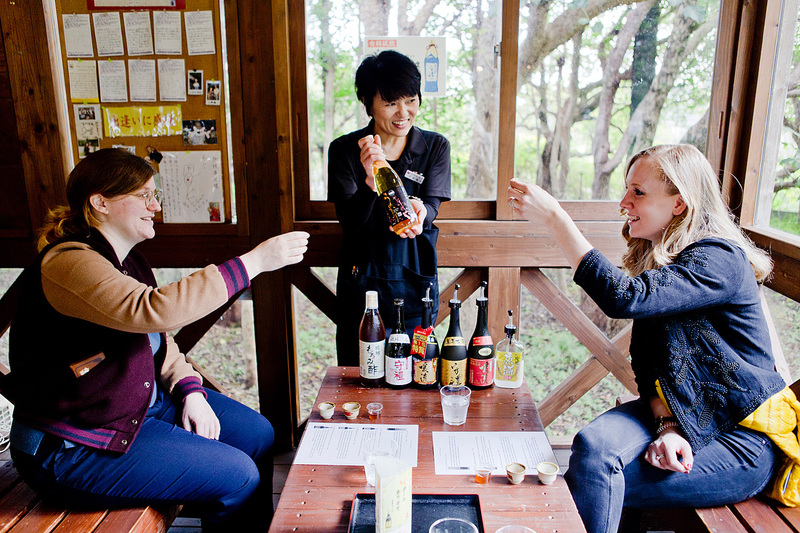 We visited the Kamimura Distillery on Okinawa and got an exclusive tour through the distillery by Mrs Nakazato. 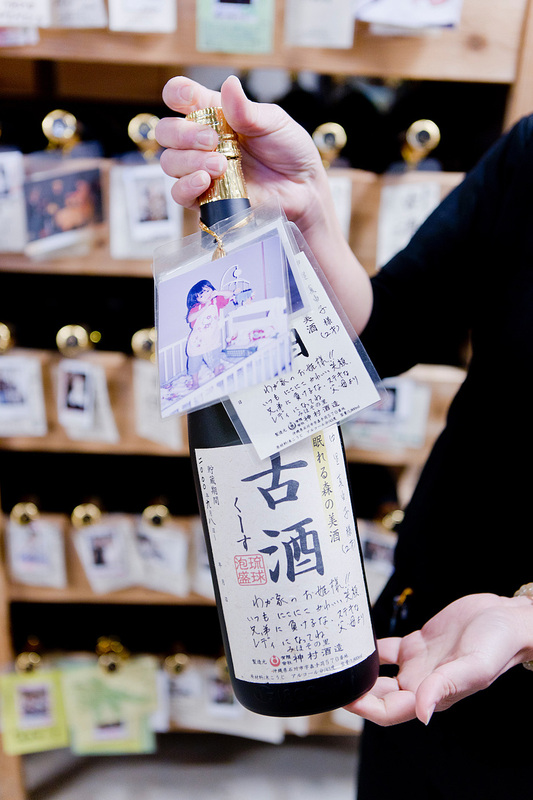 The distillery produces special Sake creations. 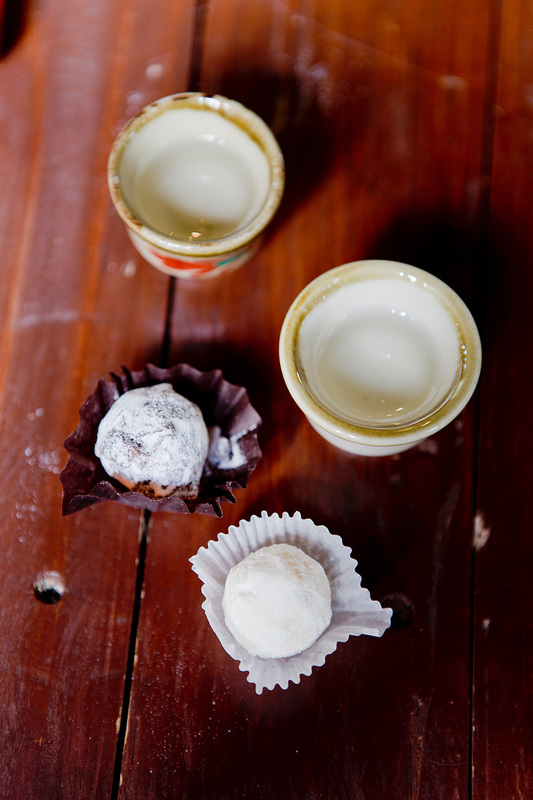 Therefore, it is a real insider tip, if you are into Sake. Of course, I brought some bottles of Sake back home and presented one to my friends. The eye fell immediately on the high percentage of alcohol. In fact, the bottles I’d brought had between 50-70% alcohol. 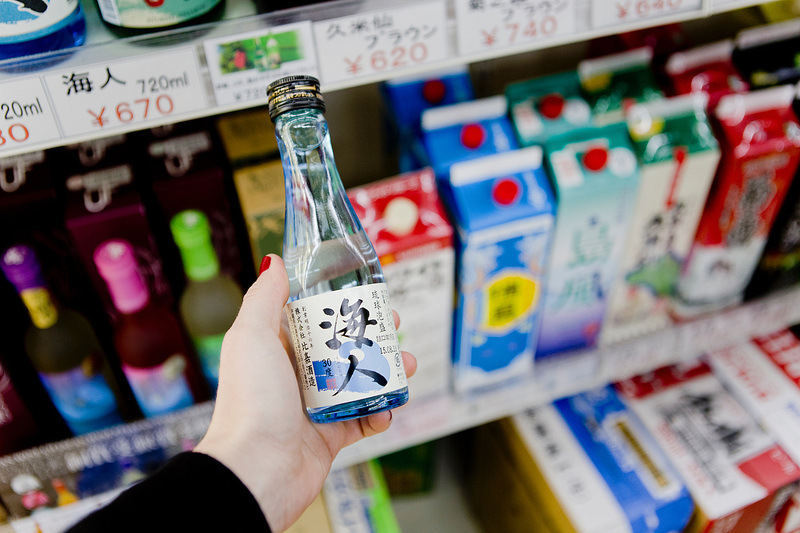 That’s quite strong but here’s another fun fact: Sorts of Sake with a high percentage of alcohol are blended with either sparkling or still water. We were also taken to the cellar, where people store their bottles. 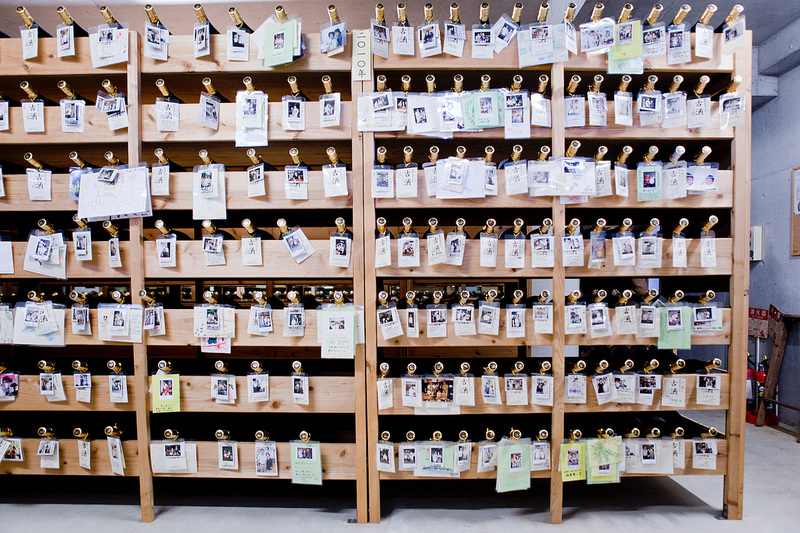 Usually they buy one of the expensive bottles, store them for years and whenever they have a special occasion they come back and add some photos to their bottles. 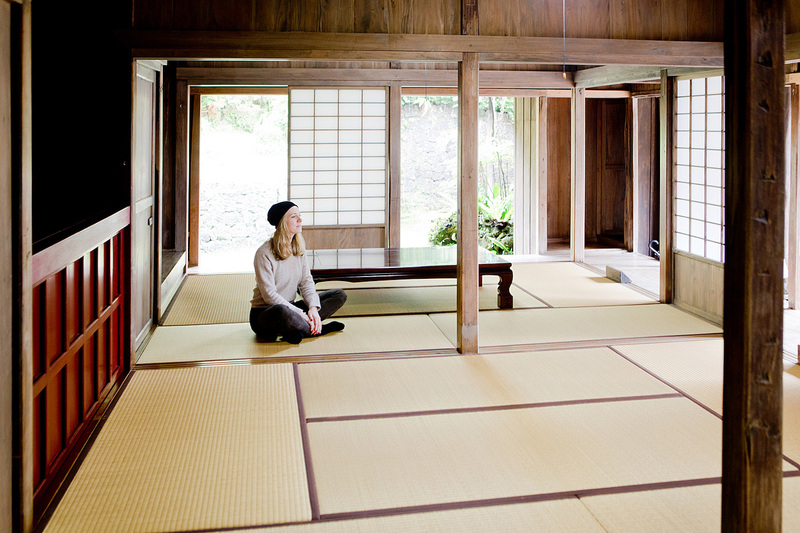 The Nakamura House is an architectural example how extravagant a farmer was living. 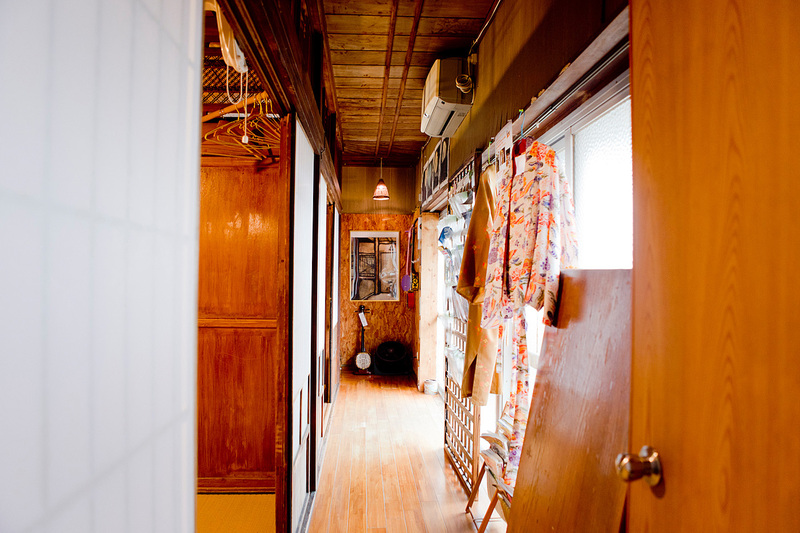 More importantly, it contains all the main characteristics of an Okinawa style house. 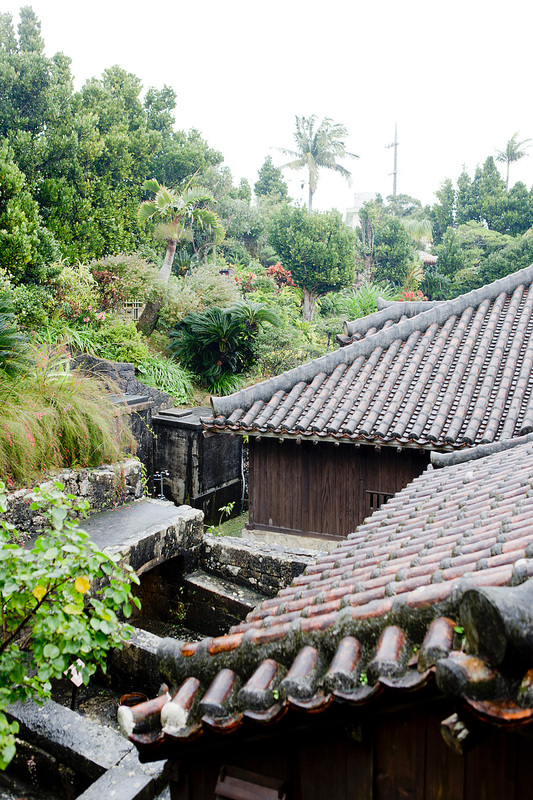 It is located on a hillside in central Okinawa and dates back to the 18th century. It measures around 1700 square metres. See more information here. 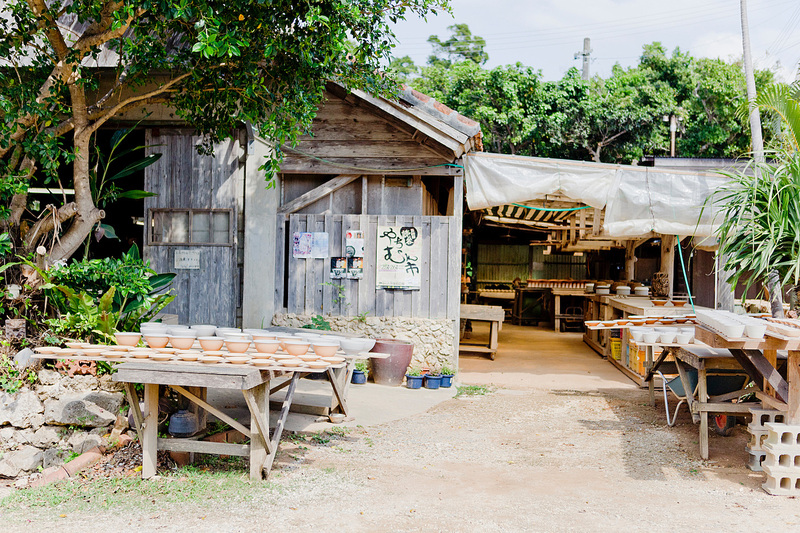 Pottery is an important craft and old traditions are still preserved on Okinawa. 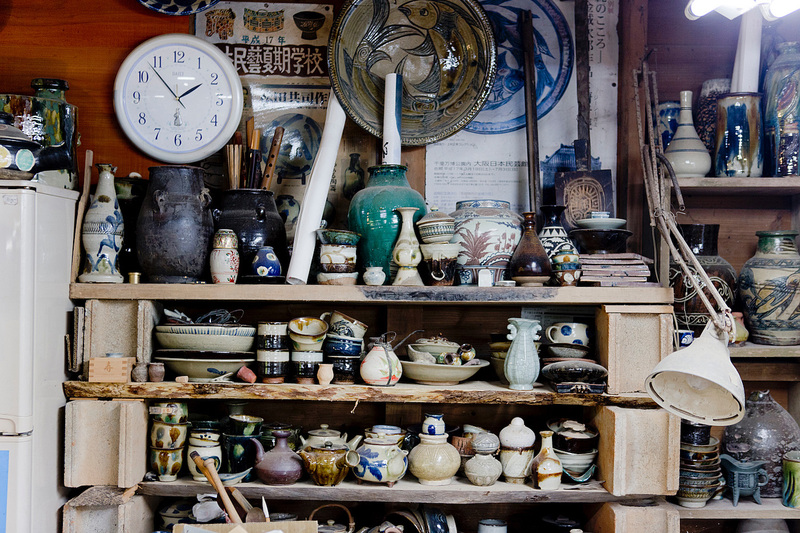 We visited the Yomitan Pottery Village and got the chance to talk to the master Kyoushi Matsuda. 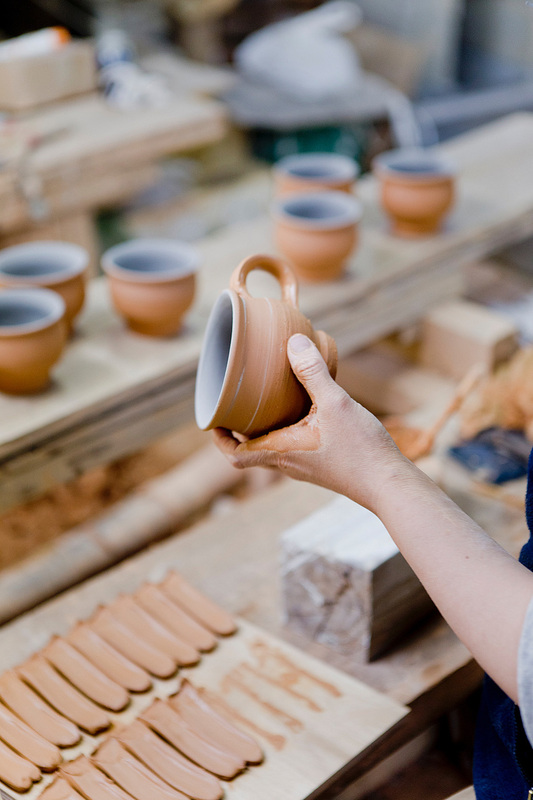 This pottery doesn’t date back to a long history as he is the first of his generation. 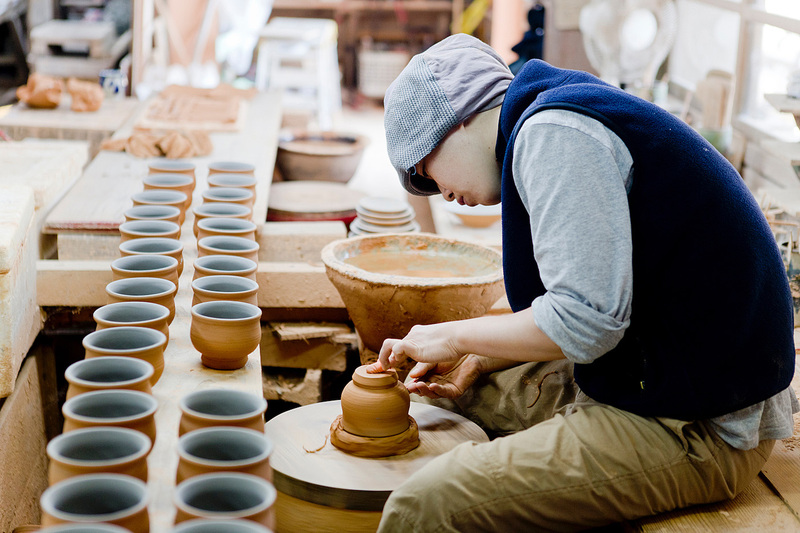 The aim of the Yomitan Pottery Village is to preserve the traditional handcraft not to pass over into mass production. In fact, all is still handmade and the factory is overbooked for more than a year. Imagine that there are only around 25 people working there. A Noborigama chambered climbing kiln is also built on a slope, and each succeeding chamber is situated higher than the one before it. 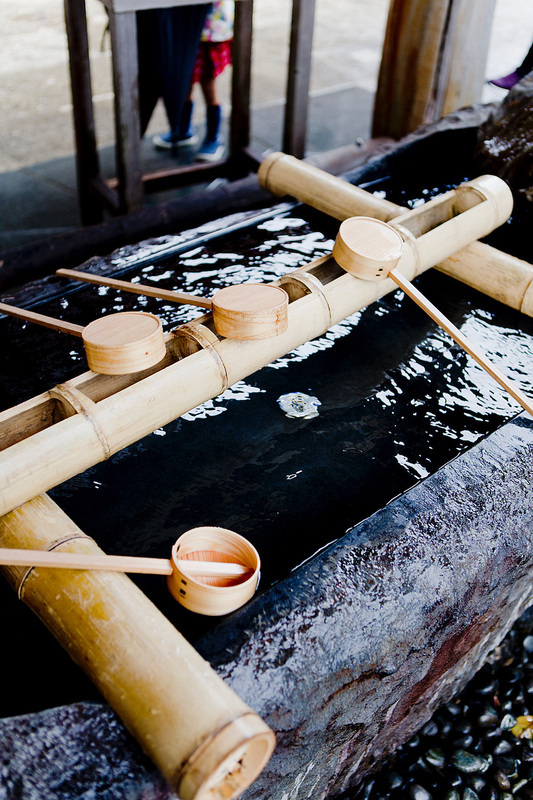 The chambers in a noborigama are pierced at intervals with stoking ports. 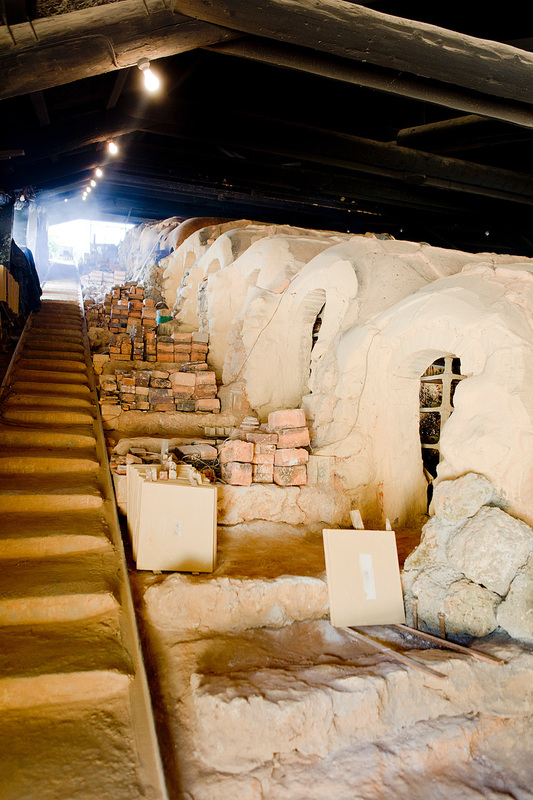 Such climbing kilns have been used in Japan since the 17th century. The largest working Noborigama kiln in Japan is located in Shigaraki, in the southern portion of Shiga Prefecture. 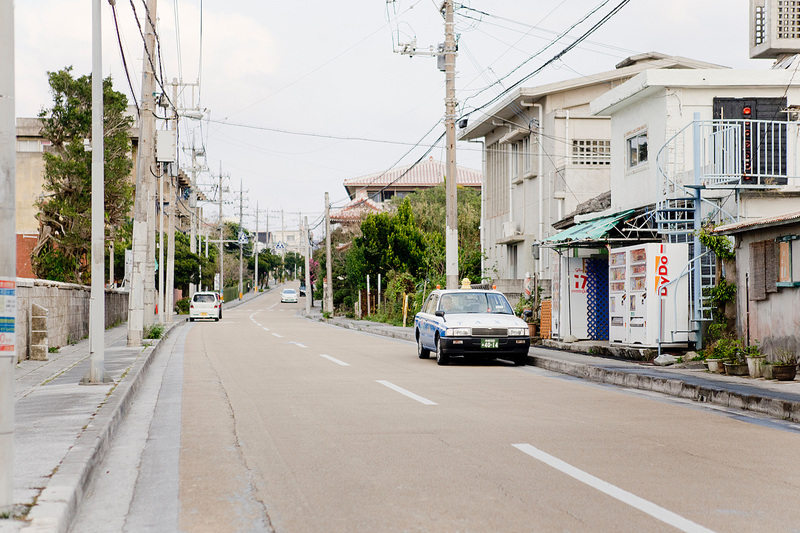 A visit to Okinawa’s capital is definitely a must for dining, shopping and there is also a lot of cultural offer. 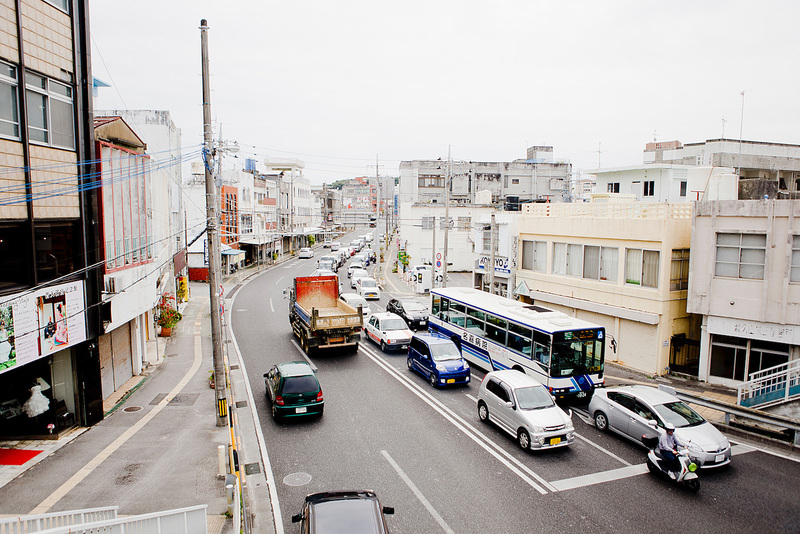 You may immediately notice that there is a lot of traffic in the cities. 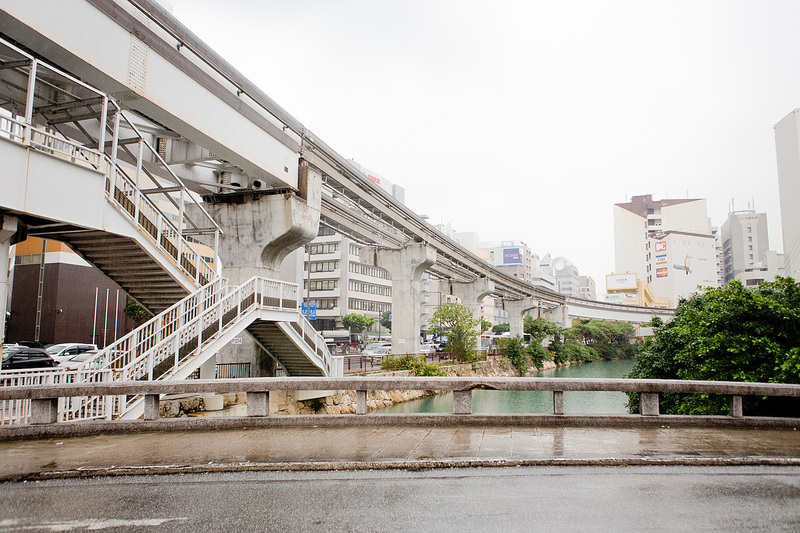 In fact, the public transport isn’t developed so well and most destinations are only reachable by car. However, you’ll see many hybrid and electric cars driving around. Japanese are very eco-conscious and always have the newest technologies. 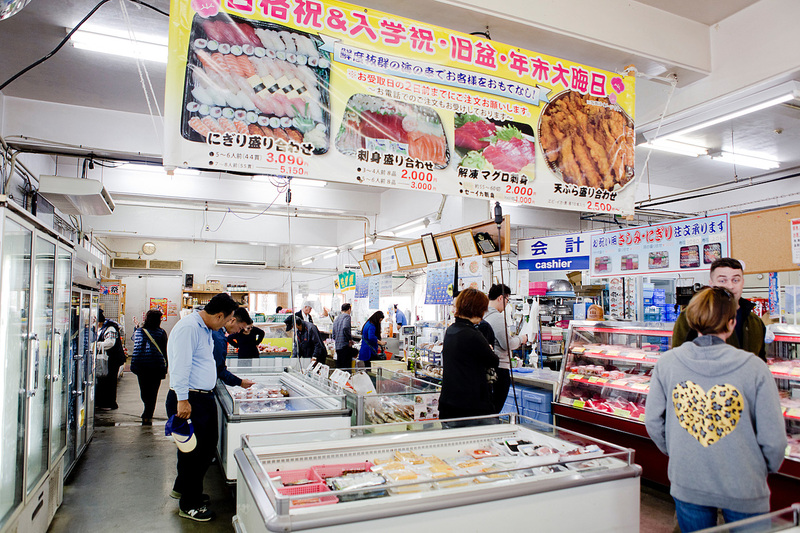 We only stayed a couple of hours in Naha, which included a walk on the main street, where you can do a lot of shopping and make a visit to a local market Makishi Kosetsu Ichiba market, whereof I will show you more pictures soon. 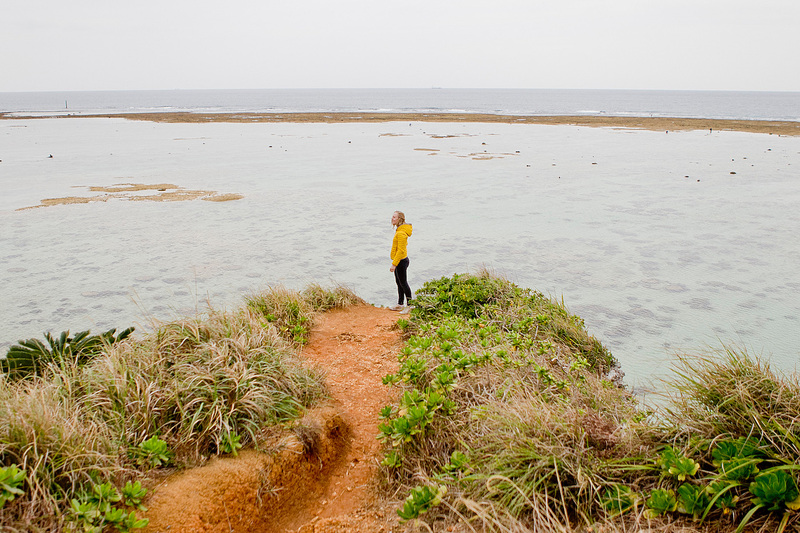 Find all my posts about Okinawa here! 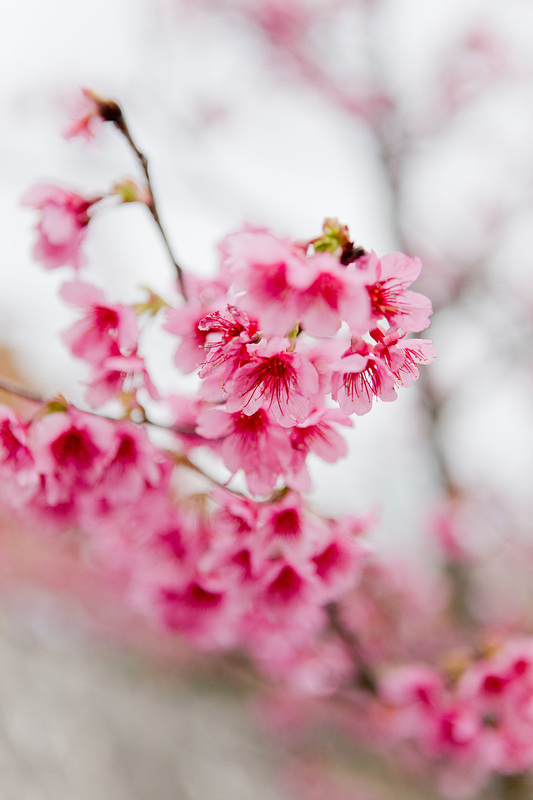 I live on Okinawa. I have to say these are great picks! 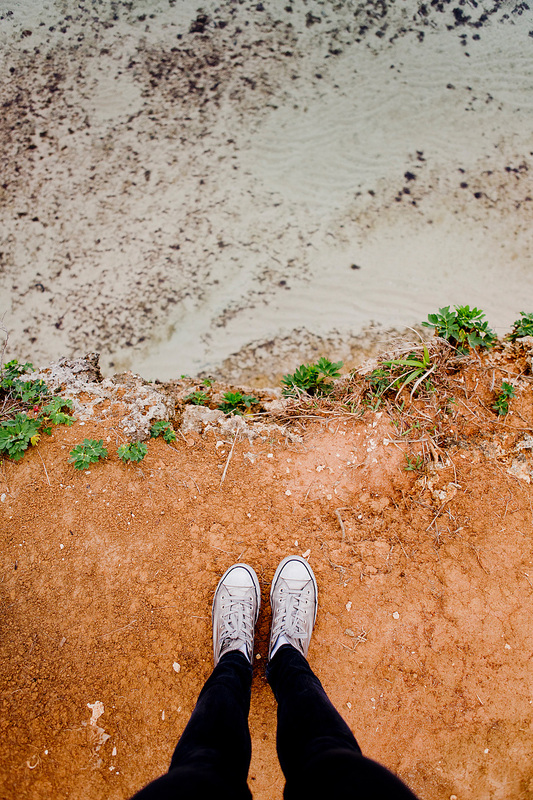 If I had to pick my top 10 experiences, they would closely match yours. Great choices! thank you Amelia! this means a lot to me! 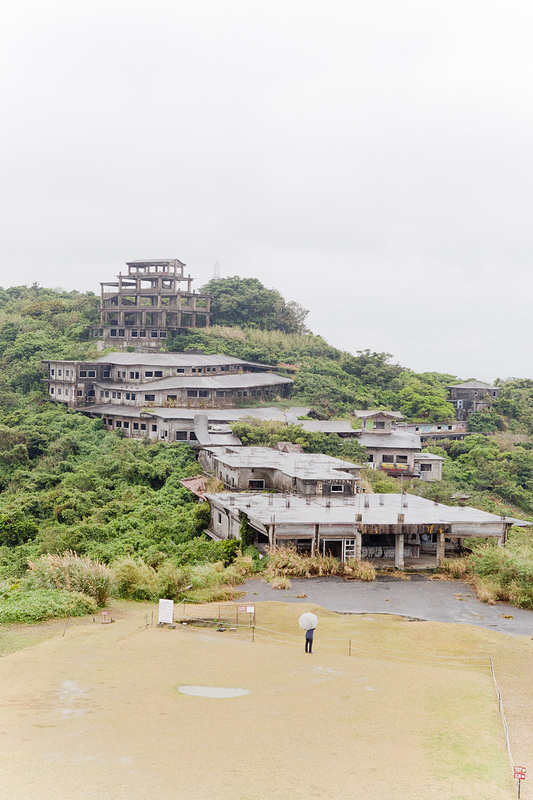 However, there are a lot of parts on Okinawa which I haven’t seen and would’ve loved to see. But time was too short!